The DeepMind team is releasing three new papers demonstrating how they plan on bringing flexible and natural behaviors to artificial intelligence. The team aims to make these capabilities reusable and adaptable. The papers includes locomotion behaviors, the ability to learn human behaviors from motion capture, and imitation of diverse behaviors. “True motor intelligence requires learning how to control and coordinate a flexible body to solve tasks in a range of complex environments. Existing attempts to control physically simulated humanoid bodies come from diverse fields, including computer animation and biomechanics. A trend has been to use hand-crafted objectives, sometimes with motion capture data, to produce specific behaviors. However, this may require considerable engineering effort, and can result in restricted behaviours or behaviours that may be difficult to repurpose for new tasks,” the team wrote in a post. Windows Insiders can now get the latest Windows 10 PC preview in the Fast Ring. In addition, Microsoft announced it will be having its second and final Bug Bash for the Windows 10 Fall Creators Update. The Bug Bash is a way for the company to review direct feedback on its ongoing initiatives. The second Bug Bash will start Friday, and run until next Sunday, July 23. The new Windows 10 build for PC features improvements to Microsoft Edge, Windows Shell, inputs, PC gaming, task manager, and Hyper-V. In addition, it features a number of bug fixes. A number of companies and organizations are teaming up this week to save net neutrality. 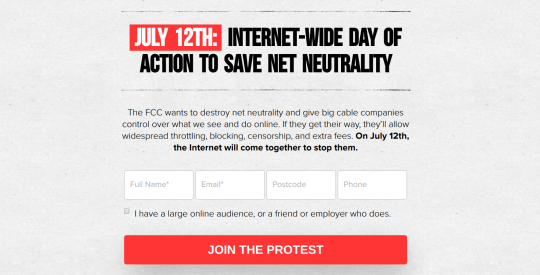 The Internet-Wide Day of Action to Save Net Neutrality is scheduled for this Wednesday, July 12. Participators include: Twitter, Amazon, Facebook, Google, Reddit, Netflix, and Mozilla. According to the organizations, the FCC wants to get rid of net neutrality, and give cable companies control over online actions.